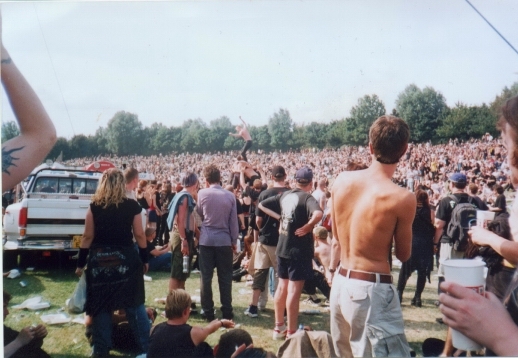 Quite a few festivals that Ive been to over the last 5 years or so, but only a few photos here, to capture the spirit (read: intoxication) of the thing. 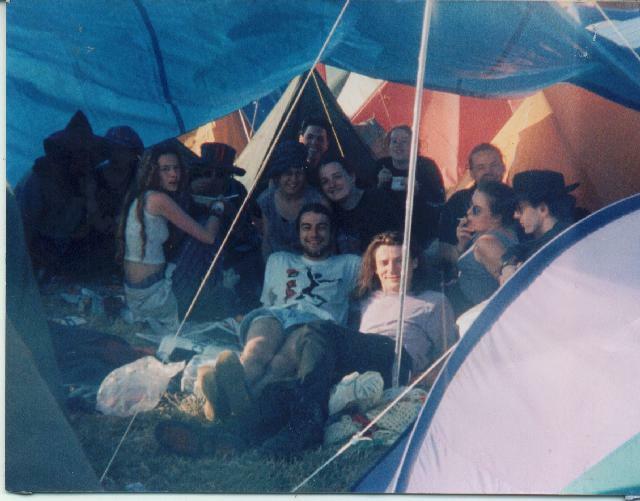 I seem to be a 'good weather god' cos its never rained when Ive been to a festival... and I hope it stays that way for Glastonbury 2000! 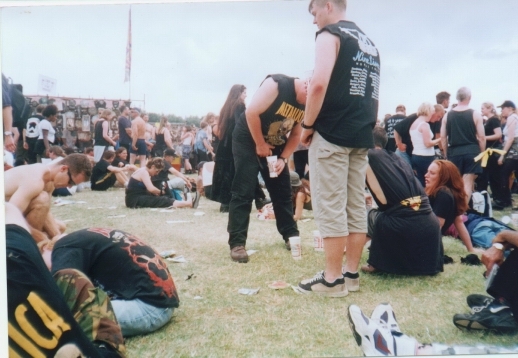 The essentials were: Glasts '95 - Loo Roll; Reading '98 - My friend Phil; Big Day Out '99 - Cider; Reading '99 - Wet wipes. All lessons well learnt! Here's the people we camped with in '95... (here goes) From left to right: Stan, Stan's bird, Justin's bird, Justin, Lianne, Kev (top), Darryl (bottom), Larnen, me (top), Keean (bottom), Ryk (top), Jeremy's bird, Jeremy. Kev, Ryk and I came from London, the others are Surrey friends of my mate Fink. The loos were ok there, but obviously this guy couldnt be bothered to queue. 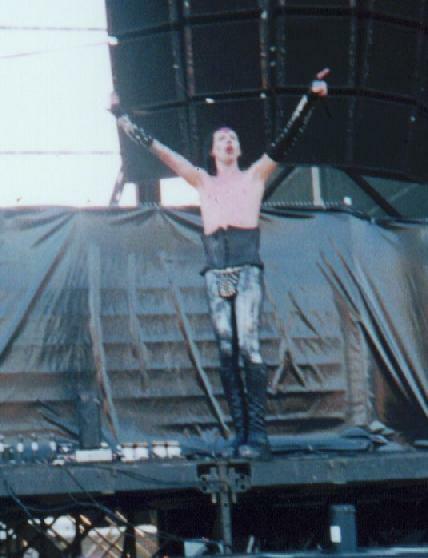 Marilyn Manson kicked arse. He came to my side of the stage after someone missiled him. 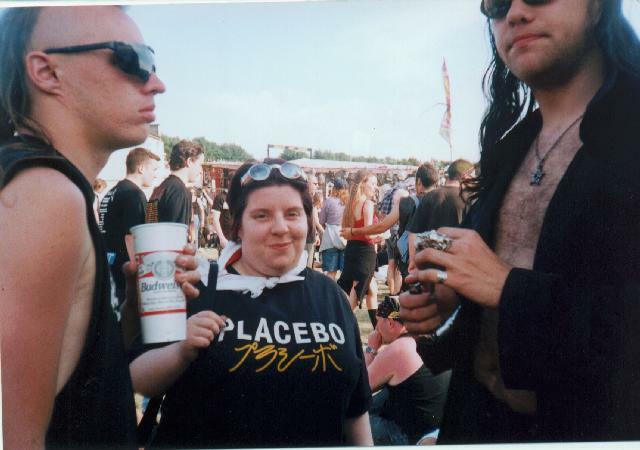 Placebo did a blinding set too, but sadly I was some way away from the stage. 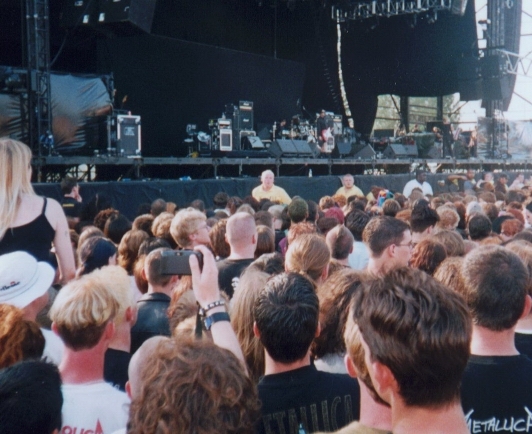 Pitchshifter at Reading '99. 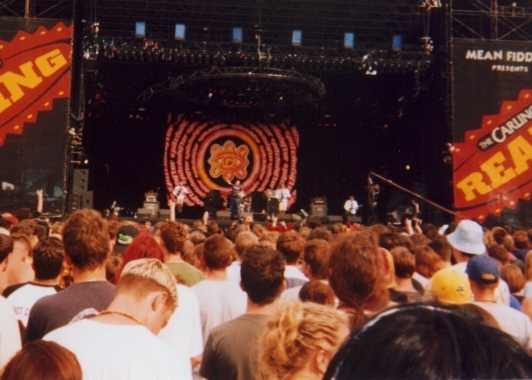 I actually prefered them in a tent at Reading '98, but forgot to take a camera with me that year. 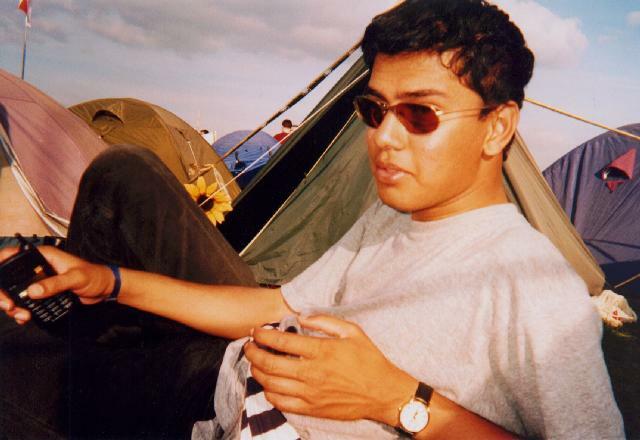 Vijeet chills in our campsite.